Senator Sherrod Brown celebrated his reelection in November. He’s considering a run for the presidency. 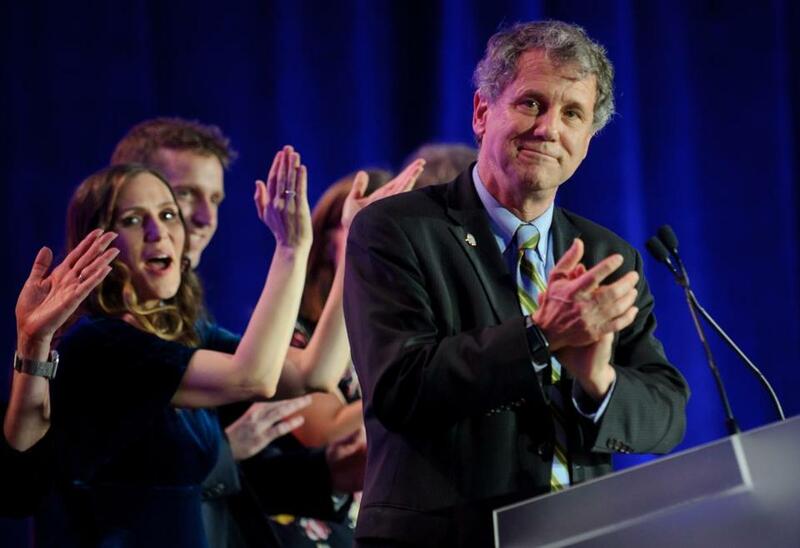 WASHINGTON — Sen. Sherrod Brown is launching a tour of three states that cast pivotal early votes in the 2020 presidential primary. Brown won a third term in November on the strength of a message he calls the ‘‘Dignity of Work.’’ He plans to use that motto for his forthcoming tour, which he announced Tuesday night on MSNBC. It includes stops in Iowa, New Hampshire and South Carolina, as well as a kickoff in his home state. The 66-year-old has yet to decide whether to join a 2020 primary field that is expected to include as many as a half-dozen of his fellow Democratic senators. According to Cleveland.com, he’ll begin the tour Jan. 30 in Cleveland. ‘‘If that’s the case, whether I end up running or not, that’s a victory, because it means we will govern better, we will be a better party and we’ll win more elections,’’ he said.